Born in Edmonton, in southern Kentucky; The Kentucky Headhunters started out in 1968 driving around in an old bread truck. 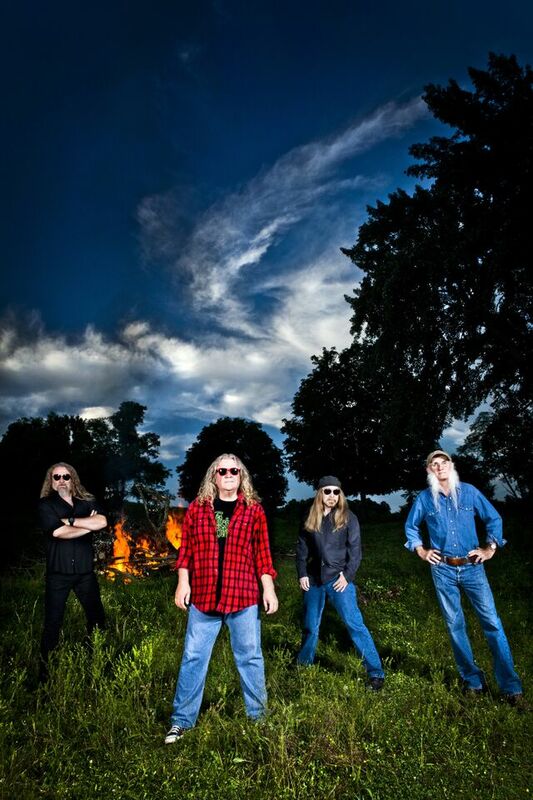 Now 47 years later the Kentucky Headhunters are still touring, releasing albums, selling out venues and rocking the stage where ever they go. Sturgis 2015 just took place this past and it has always been the super bowl for bikers. Can you tell us a little bit about your experiences in Sturgis? Richard (KY HH): “Yeah we played a few shows while we were there. Matter of fact; speaking of Sturgis, one of my good friends, Michael Ballard, His place where we played a lot, The Full Throttle Salon just burned to the ground. It’s quite a famous place; it had its own tv show ‘Full Throttle Bike Show’. Ryan (MMM): Let’s get into the history of the KY Headhunters a little bit. Richard (KY HH): “The head hunters have been together since ’68. We started out in ’68 as a blues rock band called Itchy Brothers from ’68 to 81’. The cool thing about then was my grandmother gave us an old farm house. She didn’t want to rent it out to strangers so she let us practice in it. We still to this day use that house, and 13 years ago my son came to us with his friend Chris Robinson and wanted to start a band and use the practice house. That’s what wound up becoming Black Stone Cherry. They’ve been writing and rehearsing there. I actually wrote the first album and produced it with them. We have a landing spot to return to, a lot of bands have a rehearsal rental spot and when their done it’s not theirs anymore. We’ve had this farm house all our lives’. In ’78 we started working with a label called Swan Song records owned by Led Zeppelin. We were to be the first American band on Swan Song records and low and behold John Bonham dies which was quite crushing because it ended that opportunity. We’ve had some hard knocks over the years but we kept on. Ryan (MMM): Now, lets take a moment and talk about the most recent KY Headhunters album “Meet Me In Bluesland”. Richard (KY HH): “In 2003 we were in the studio doing an album called ‘Soul’ and we wanted Johnnie (Johnson) to come in and play on an old Freddie King song called ‘Have You Ever Loved A Woman’. We got in touch with Johnnie and he flew to Louisville and we picked him up and brought him to the studio. His wife said ‘You know Richard, Johnnie is getting old and I don’t know if he will have the opportunity to make another album.’ Right there a light went off in my head and I said ‘oh he will’. When he got there we stopped writing on our album and cut the song ‘Have You Ever Loved A Woman’ with him and we stopped and took three days and wrote this new album that just came out (Meet me in Bluesland) on June 1st. Music Matters Magazine would like to thank Mr Young for taking the time to speak with Ryan and are honored to share these stories with others. Next Next post: Festival Review/Photos: Was the first annual “Country Night Lights” Festival a Success?